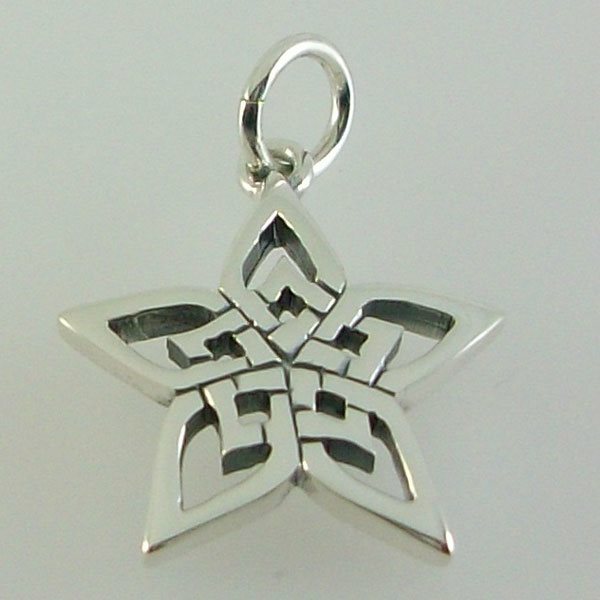 Stunning Hebridean Star pendant handcrafted in silver new to our range of celtic scottish jewellery. Dimensions are approx height and width 19mm weight 2.3g. I bought this for my grand-daughter for her graduation It is lovely. It was delivered so quickly and beautifully packaged. Thanks. I bought this pendant as a birthday present for my mum. It is beautifully made and she loved it so much that she has worn it every day since. Really love my Hebridean star. Well made.